If you intend to check NBAIS results, click here. If you wish to know more about the exams, the body in charge, how to use it for admissions, combining it with other result etc, read further the post. Are you hearing about NBAIS for the first time? Do you wish to register for the exams or check its result? I was once in your shoes and now I can guide you on what the exams is and all it takes to use it to seek admission to universities and courses accepting it. 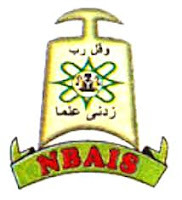 NBAIS is the exams conducted by National Board for Arabic and Islamic Studies just as NECO is administered by National Examination Council, WASSCE by West African Examination Council, UTME by Joint Admission Matriculation Board, NABTEB by National Business and Technical Examinations Board, IJMB by Ahmadu Bello University, JUPEB by University of Lagos etc. Even though the exams is limited by the number of institutions accepting it and courses it can be used for, yet it’s one of well recognized results by those few schools taking it. It’s a exams established by the Federal Government of Nigeria to realize the ambition of its programme for the full integration of western and Islamic Education, the promotion of Qur’anic schools and the Madrasah system of education in the country. The National Council on Education (NCE) has approved and directed all relevant regulatory agencies and Institution to recognize and accept the Senior Arabic and Islamic secondary School Certificate for admission into tertiary Institutions. On the strength of this directive, the NBAIS examination is recognized to 'O' Level awarding examination body like other related /approved examination bodies in Nigeria. Is it rated the same as WAEC, NECO and NABTEB? The basic thing is that the exams aims at Islamic and Arabic related courses for admission. Whereas WAEC and NECO are more generally acceptable for all courses. NABTEB is more widely accepted too but not for courses like Nursing, Law, Medicine, Pharmacy and the likes. Consider checking individual schools and courses terms in your JAMB brochure or see my Mini JAMB Brochure. Where NBAIS is acceptable, it's recognized the same as other exams. What are the Subjects to be Registered for NBAIS? How many Exams Does the body conduct yearly? NBAIS conduct two examination yearly, May/June and November/December examination with over 22 states including the FCT participating. How Can I Check my NBAIS Result? Read the post How to Check NBAIS Result Online. Step By Step Guide (June/July or Nov./Dec) and follow the instructions. Registration can ONLY be done through one of the affiliation centres across the nation. Such centre will have to register you though the body’s dedicated page. See updated affiliated centres for NBAIS. How can I register as an affiliated centre? Follow the instructions on the NBAIS affiliation guide. How will I know if NBAIS exams Time Table is out? Visit the Board's news page for such updates. What are the universities and courses accepting NBAIS in Nigeria? Literally, all courses that has to do with Islamic and Arabic Studies are accepting NBAIS. Kindly consult JAMB brochure or your proposed school for guide on the use of the result for their admissions. See how to study official JAMB brochure. BAYERO requires Islamic Studies/Arabic and Literature-in- English for Common and Islamic Law. KSU requires five (5) O level credit passes in English Language, Literature in English and three (3) other relevant Arts, Social Science, or Science subjects. ILORIN requires O level credit passes in English Language, Mathematics, Islamic Studies or Arabic and any other two (2) subjects in Arts or Social Sciences. (Civic Education /Government/History). Check their FAQ page or contact the Board. NABTEB Results: Steps/how to Check and Print Online. NECO Results: Steps/how to Check and Print Online.